Chief Mrs. Taiwo Taiwo is the Chairman Lexham Investment- Owners of Shonny Investment Property Company (SIPC). She has over 45 years’ experience in the real estate industry as a developer and investor both in Nigeria and international markets ,covering the commercial and residential sectors. Her versatile experiences in the real estate markets and renowned organizational skills and attention to detail make her a much sought after personality on both national and international boards. Taiwo Taiwo is the founding Chairman & currently Finance Chairman of the highly acclaimed secondary school, Atlantic Hall – a co-educational non-profit secondary school. 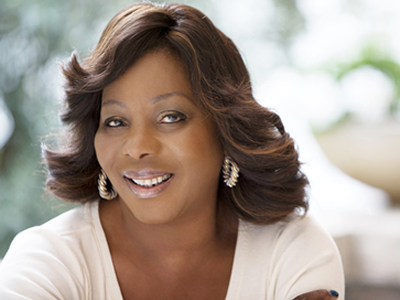 She is Founding Chairman & Trustee of Lagos Millennium Group on the Environment – a nonprofit, pressure group of business leaders, stakeholders and concerned citizens of Lagos, working to arrest the deterioration of infrastructure of Lagos, improve the environment and make Lagos “The Venice of Africa”. Under her leadership, an ultra-modern Fire station “The Ajele Fire Station’ (with the financial support of Shell ) built and equipped to world class standards donated and handed it over to the Federal and Lagos State governments for the benefit of the Lagos Islandcommunity. She was recently appointed to the board of Marina Admiralty Towers Development Limited (‘MATDL’), a multi-million dollar 24 storey commercial residential and hotel development that will incorporate the Hard Rock Hotel – Lagos. Chief Mrs. Taiwo Taiwo is a committed social entrepreneur who over the years has sat on the board of Fate foundation as a founding member. She sits on the board of the Chike okoli foundation. In August 2002, following the death of her 24yr old daughter in April 2002, she founded the Aart of Life Foundation; an acronym of the name Abioye Aronke Taiwo ,inspired by the life of her daughter, Abioye Aronke Taiwo. The Foundation is established to promote and advance the virtues of love, compassion, charity and beauty amongst all Nigerians. The foundation has pioneered grief and trauma counseling in Nigeria; worked with multiple local and international organizations and agencies. . It recently partnered with the Lagos State government to train carefully selected graduates for a pilot scheme of a 24 hour call centre with counselors on hand to counsel Nigerians in grief and trauma. She was recently nominated as an Honorary Board Member of the Eredo Local Council Development Area (Epe) Lagos State.